We are delighted to launch a new feature for Cricket Web, a regular selection of the writings of Gulu Ezekiel. Those on the sub-continent in particular will be familiar with Gulu’s work. 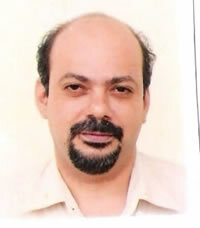 He contributes regular features to Mid-Day, Hindustan Times and New Indian Express. Gulu also appears regularly on the Headlines Today news channel. In addition to his newspaper and magazine columns Gulu has also authored 14 books including biographies of Sachin Tendulkar, Sourav Ganguly and MS Dhoni. All told he has contributed to more than 100 different publications on cricketing subjects. Gulu also writes about other sports and has a special interest in Indian participation in the Olympic Games. His most recent book, Cricket and Beyond, an anthology of writings compiled over thirty years, mirrors his interests. Mainly cricket, but overall an eclectic mix of stories from Indian sport. We start with Gulu’s thoughts about the recent Mumbai Test between India and West Indies. Cricket is the only sport in which a match can end in three different ways–a win, a draw and a tie. But what happens when the scores are level and the team batting second has not lost all its wickets? Unlike in a One-day match (50 overs) where it would be a tie, in first-class cricket (including Tests) the match is considered to have ended in a draw. And in the year which saw the 2,000th Test match played and also the 25th anniversary of only the second tied Test in history, India and West Indies found themselves in exactly that position at the end of a pulsating final day’s play in the third Test at Mumbai on Saturday, India losing nine wickets with the scores level. The only previous such occasion in Test cricket was at the Queen Sports Club at Bulawayo in December 1996 when England needed 13 runs to win off the final over in the first Test against Zimbabwe and managed 12 with six wickets down. Just as R. Ashwin was run out off the last ball on Saturday, England opener Nick Knight (96) too back in 1996 was stranded out of his crease going for what would have been the winning run from the final ball. It made him enemy number one in Zimbabwe for this was the first time the two nations were meeting in a Test match and the home side had been inducted into the rarified club of Test cricket just four years earlier. Ironically Test cricket is going through a crisis in India with spectators largely ignoring the current series and empty stands at the second Test at Kolkata alarming purists of the game. And here was a match where the result was not known till the final ball was bowled! It was in 1986 that India and Australia were involved in only the second tied Test at Chennai (then Madras) when last man Maninder Singh was given out lbw to Greg Matthews from the final delivery of the match with the scores level. The first tie had occurred in 1960 at Brisbane when Australia were all out against the West Indies with the scores tied and just one ball remaining in the match. Australia’s coach at Madras in 1986 was Bob Simpson and in 1960 at Brisbane he had scored 92 in the first innings as opener. Zimbabwe-born Duncan Fletcher took over as India’s coach this year and while he was not a participant in the 1996 Bulawayo Test match, chances are he was a witness to the match back then. Welcome Gulu. A great edition to CW. Welcome, Really Great Addition to CW. Nice to have you on board, Gulu! I’ll hold my hands up and say I was initially anti a review system that the players instigated, but have been persuaded otherwise by the way it’s panned out when implemented. I appreciate Frith’s reservations about frivalous referrals, but the two per innings does keep these down to reasonable level.